Home / News / Volunteering Matters scoops charity award! Volunteering Matters scoops charity award! 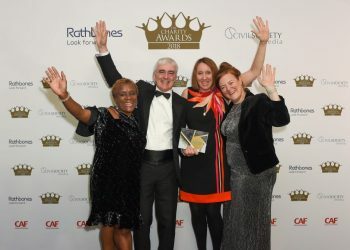 We are delighted to announce that Volunteering Matters has won the award for ‘social care, advice and support’ in the 2018 Charity Awards for our Grandmentors programme. The Charity Awards, the UK’s longest-running awards for the charity sector, is an annual awards programme held to identify, recognise and reward those organisations doing exceptional work in all areas of charitable activity. Oonagh Aitken, Chief Executive of Volunteering Matters, said: “We are so proud that our Grandmentors programme, which has supported young people leaving care since 2009, has been recognised in this way. Set up in 2009 in partnership with Lord Freud, Grandmentors builds on the nurturing and accepting relationship between a young person and a grandparent. Volunteering Matters recruits, trains and supports volunteer mentors who are aged 50 plus, otherwise known as ‘Grandmentors’, who use their skills and experience to provide bespoke mentoring for young care leavers. Young people leaving care face significant challenges during their transition into adulthood, when they are at the time when they would plan and prepare for the future. Grandmentors act as role models, and can help young people with anything from opening a bank account or writing a CV to applying for a job. Results show that after six months, 95 per cent of care leavers supported by Grandmentors were in education, employment or training, compared to the national rate of 49 per cent. 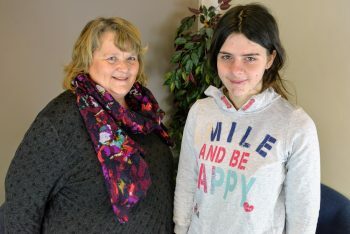 Also beneficial to the Grandmentors themselves, a survey of 43 mentors in early 2015 showed that 73 per cent felt mentoring had given them a great sense of purpose, while 91 per cent felt more involved in the community. To find out more about Grandmentors, visit our project page.